Lonely Planet released their Top 10 US travel destinations for 2013 today. Their US editors and expert authors teamed up to determine the places that travelers should add to their itineraries next year. Destinations were picked because of top notch culinary arts, epic scenery, or unique cultural experiences. Philadelphia made the list this year at #4. Their editors tell travelers that our city has much more to offer past our American history and greasy gastro fare. Philly has quickly become an art lovers dream. 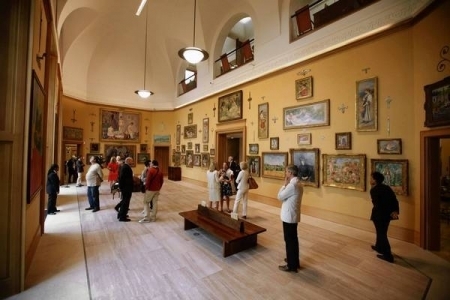 The simple (and very complicated) move of the Barnes collection of priceless Matisse, Renoir and Cézanne just a few miles from Lower Merion to the Parkway museum district has sparked interest all over the world in Philadelphia as an art capital. Add in the many small galleries in Old City, Manayunk, East Falls, etc. and there's plenty to explore. A Philadelphia police officer is under arrest for allegedly committing insurance fraud and leaving the scene of an accident. Officer April Shaynick, 42, got into a car accident on August 9th while off duty and driving her own vehicle. The incident occurred near Van Kirk Street in Northeast Philadelphia. Shaynick apparently struck another vehicle that had a passenger who ended up going to the hospital. Shaynick did not stay and instead drove off, however a witness took a photo over her car and license plate. Officer Shaynick later filed a false police report saying her car was hit while parked and submitted that to her insurance company for compensation. She has been charged with leaving a scene of an accident, insurance fraud, theft by deception and conspiracy. Shaynick is a 14-year veteran and assigned to the 1st District. She has been suspended for 30 days with the intent to dismiss.